"how young we were," the newest album by The Mudflapps has been finished! You can enjoy the full record below. 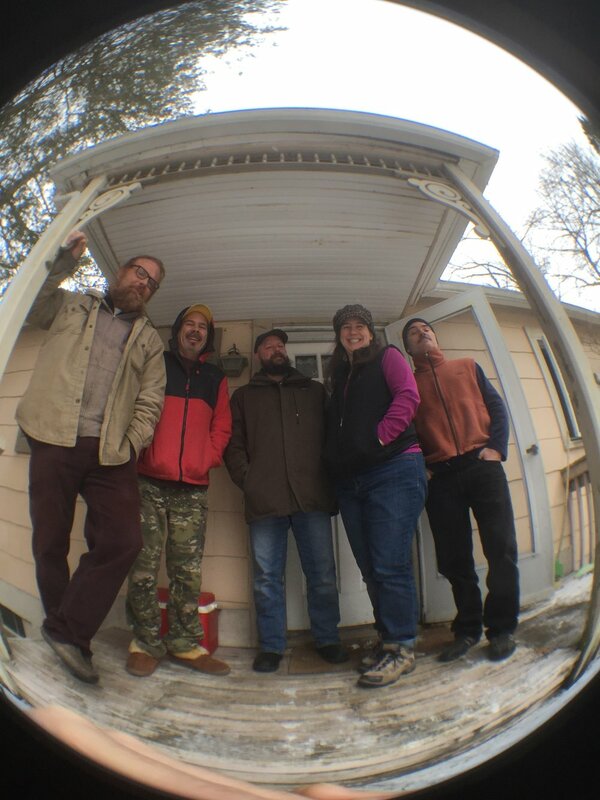 Stream the newest record by The Mudflapps for free. 9pm - 'Til we're done drinkin'! We look pretty darn good, and are havin' a whole lotta fun. The Mudflapps perform this Barb Hale original from their first record, "Pocket Full of Whiskey" at The Glenwood in Roger's Park, Chicago IL. The Mudflapps perform this Justin Gillam original, the title cut from their third record at The Glenwood, in Chicago IL. The Mudflapps perform this Sarah Blick original at The Glenwood in Chicago, IL. This cover is song by Barb Hale, and it's fun. This photo came from a break in recording action, at the pop-up studio SuperHero Audio put together for The Mudflapps at a lake house in rural Wisconsin.